Fix to show candle colors in real time. Candle color shows the color of the candles. IND2 shows the position of the close relative to the EMA(5) - default. You can change the MA type and period via inputs. Added percent change option to Magnified Market Price_TRO_MODIFIED_VERSION . Don't know why it took me so long to think to do it?! I am new to this forum and was drawn here by your dynamic sr indicator, which I have been studying (very cool). Is there a version that shows higher TF SR level on lower TF's? For example, if one wanted to see H1, H4, and D levels on M1? Thank you again! I think you just change the inputs to do that but do NOT be fooled by higher/lower TFs. PRICE IS THE SAME ON ALL TIME FRAMES!! Not to mention, the indicator is DYNAMIC... it will show SR no matter what TF. 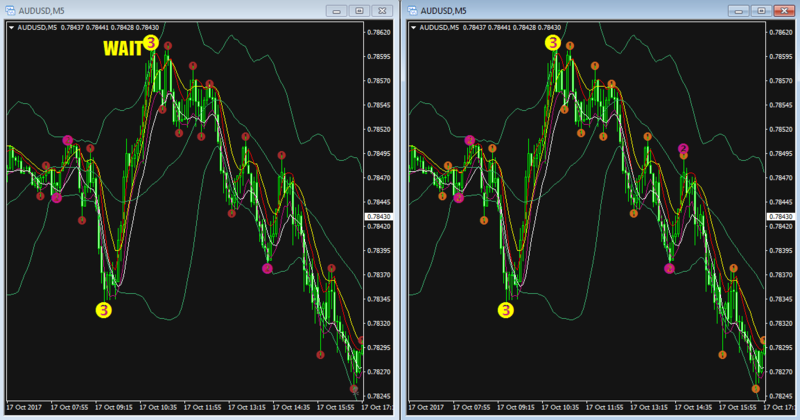 Wonderful indicators, thank you very much TRO! I'm using your HL5 (most recent version from this page), it works really well, but what I found is that when I want to check pivots from previous days D1, D1 and so on... nothing appears. Only current pivots D1 shows up. Am I missing something? There is no problem to see for example highs, lows, close and so on from previous days. Also D1FPP, means pivot point if day candle would close right now, right? Thanks, and greetings from Poland! Only shows today's pivots. You are correct about FPP.